MRO TOOLS Cleco Kit of 50 heavy duty (KK3/16) 0-1/4'' grip plier operated Cleco fasteners plus Cleco Pliers. The plier-operated (KK) series sheet holder clamp is the standard temporary fastener solution. MRO TOOLS Cleco Kit of 100 heavy duty (KK3/16) 0-1/4'' grip plier operated Cleco fasteners plus Cleco Pliers. The plier-operated (KK) series sheet holder clamp is the standard temporary fastener solution. MRO TOOLS Cleco Kit of 150 heavy duty (KK3/16) 0-1/4'' grip plier operated Cleco fasteners plus Cleco Pliers. The plier-operated (KK) series sheet holder clamp is the standard temporary fastener solution. MRO TOOLS Cleco Kit of 200 heavy duty (KK3/16) 0-1/4'' grip plier operated Cleco fasteners plus Cleco Pliers. The plier-operated (KK) series sheet holder clamp is the standard temporary fastener solution. MRO TOOLS Cleco Kit of 250 heavy duty (KK3/16) 0-1/4'' grip plier operated Cleco fasteners plus Cleco Pliers. The plier-operated (KK) series sheet holder clamp is the standard temporary fastener solution. MRO TOOLS Cleco Kit of 300 heavy duty (KK3/16) 0-1/4'' grip plier operated Cleco fasteners plus Cleco Pliers. The plier-operated (KK) series sheet holder clamp is the standard temporary fastener solution. MRO TOOLS Cleco Kit of 350 heavy duty (KK3/16) 0-1/4'' grip plier operated Cleco fasteners plus Cleco Pliers. The plier-operated (KK) series sheet holder clamp is the standard temporary fastener solution. MRO TOOLS Cleco Kit of 400 heavy duty (KK3/16) 0-1/4'' grip plier operated Cleco fasteners plus Cleco Pliers. The plier-operated (KK) series sheet holder clamp is the standard temporary fastener solution. MRO TOOLS Cleco Kit of 450 heavy duty (KK3/16) 0-1/4'' grip plier operated Cleco fasteners plus Cleco Pliers. The plier-operated (KK) series sheet holder clamp is the standard temporary fastener solution. 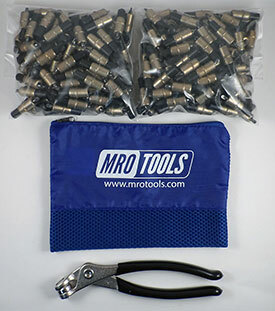 The MRO TOOLS KK1S350-3/16 Extra Short Plier Operated Cleco Fasteners 350 Piece Kit w/ Cleco Pliers & Carry Bag is one of thousands of quality tooling products available from MRO Tools. Please browse Extra Short (KK) 0-1/4'' Grip Plier Operated Cleco Fastener Kits for tools similar to the MRO TOOLS KK1S350-3/16 Extra Short Plier Operated Cleco Fasteners 350 Piece Kit w/ Cleco Pliers & Carry Bag. MRO TOOLS KK1S350-3/16 Extra Short Plier Operated Cleco Fasteners 350 Piece Kit w/ Cleco Pliers & Carry Bag description summary: MRO TOOLS Cleco Kit of 350 heavy duty (KK3/16) 0-1/4'' grip plier operated Cleco fasteners plus Cleco Pliers. The plier-operated (KK) series sheet holder clamp is the standard temporary fastener solution. 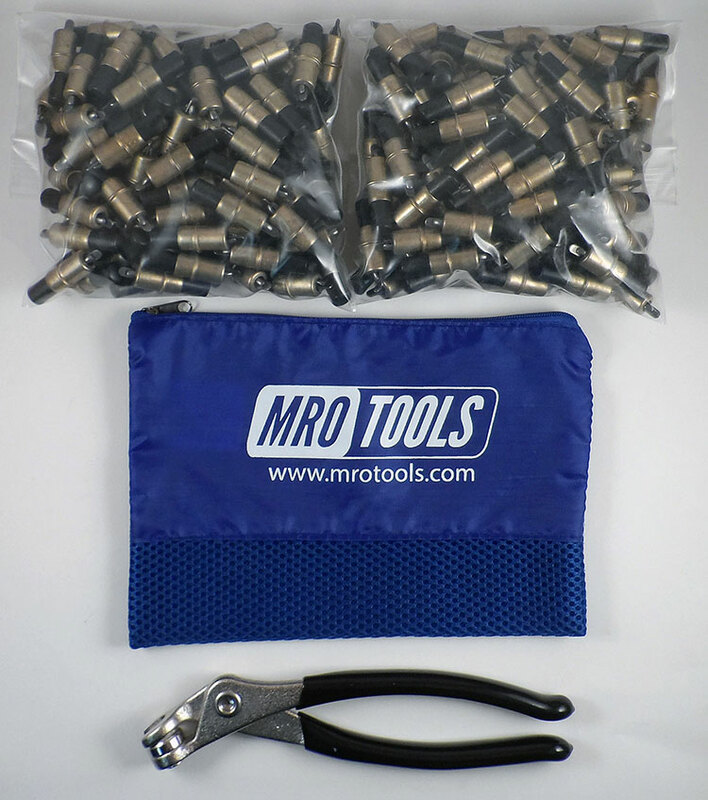 Quantity discounts may be available for the MRO TOOLS KK1S350-3/16 Extra Short Plier Operated Cleco Fasteners 350 Piece Kit w/ Cleco Pliers & Carry Bag. Please contact MRO Tools for details.